"It's an experiment, but a very important first step in my view," President Emmanuel Macron said on Monday. PARIS - Facebook will allow French regulators to "embed" inside the company to examine how it combats online hate speech, the first time the wary tech giant has opened its doors in such a way, President Emmanuel Macron said on Monday. 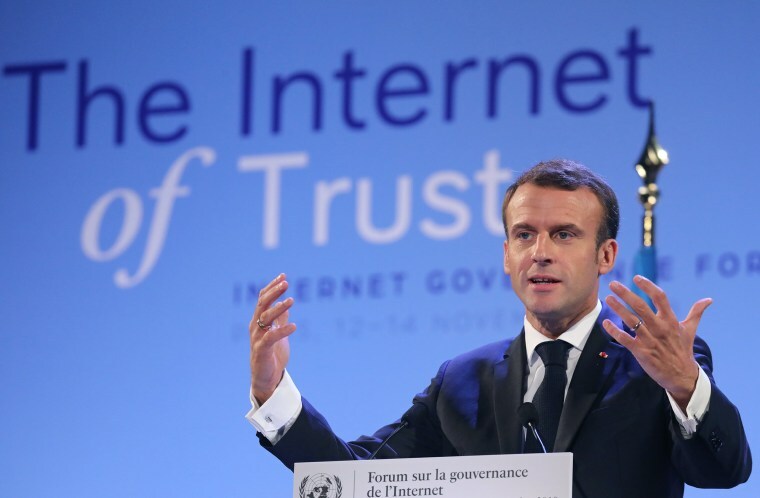 The trial project is an example of what Macron has called "smart regulation," something he wants to extend to other tech leaders such as Google, Apple and Amazon. The move follows a meeting with Mark Zuckerberg, Facebook's chief executive officer, in May, when Macron invited the CEOs of some of the biggest tech firms to Paris, telling them they should work for the common good. "We are grateful to the French Government for its leadership on this co-regulatory approach and look forward to working together over the next months," Nick Clegg, the former British deputy prime minister who is now head of Facebook's global affairs, told NBC News. The officials may be dispatched from the telecoms regulator and the interior and justice ministries, a government source said. Facebook said the selection was up to the French presidency. "The best way to ensure that any regulation is smart and works for people is by governments, regulators and businesses working together to learn from each other and explore ideas," Clegg said. France's use of embedded regulators is modeled on what happens in its banking and nuclear industries. "(Tech companies) now have the choice between something that is smart but intrusive and regulation that is wicked and plain stupid," a French official said.